Rosa M. Badia holds a PhD from the UPC (1994). Before, she graduated on Computer Science at the Facultat d' Informàtica de Barcelona (UPC, 1989). She has been Associated Professor at the Computer Architecture Department of the UPC from 1997 to 2008. 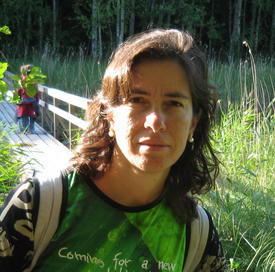 She is also the manager of the Grid computing and Clusters group at the Barcelona Supercomputing Center (BSC). Since May 2008 she is a Scientific Researcher in the Spanish National Research Council (CSIC).